Typically, the first day or two of free agency in the NFL is one of the most exciting times during the offseason each year. For some, re-signing to stay on board with the team that originally drafted them is the desired route, but for others, a change of scenery (and millions of more dollars) is too hard to pass up. After bursting onto the scene with four straight 100-yard efforts in his first four career starts as a rookie in 2015, Gurley failed to reach 90 rushing yards in any game during the 2016 season. Gurley forced an impressive 42 missed tackles on 229 carries his first year, but followed that up with a disappointing 28 in 278 carries during his sophomore campaign. While Gurley is certainly at fault to some degree for his poor 2016, running behind one of the worst offensive lines in football didn’t help. He carried the ball 59 times for 143 yards (2.4 YPC) running outside the left tackle position in 2016, and the Rams ranked 26th in run-blocking grade as a team. 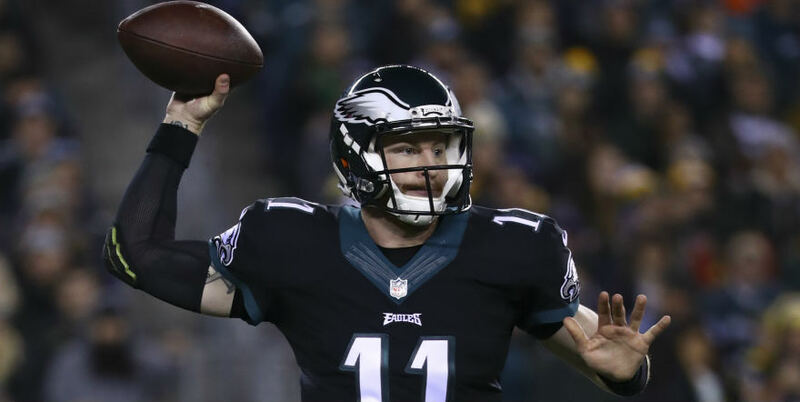 The Philadelphia Eagles invested a ton of ammo to move up in the draft to select quarterback Wentz with the second overall pick in the 2016 NFL Draft. After an up-and-down rookie season, Wentz ended the year as the 21st-ranked quarterback overall in PFF grades. From a production standpoint, the Eagles had one of the most disappointing wide receiver units in the league. Wentz had 36 passes dropped on the season, second most behind the Raiders’ Derek Carr (37). The team got significantly better at the position through free agency, where they signed both Alshon Jeffery (a legitimate top-10 talent) and Torrey Smith (a deep threat who should bounce back out of San Francisco). For comparison purposes, Jeffery has had 19 drops in 323 catchable targets in his career. Dorial Green-Beckham, Jordan Matthews and Nelson Agholor had 20 drops on 165 targets in 2016 alone. With one year under his belt and a much-improved supporting cast, Wentz is primed for a big year in 2017. There are some notable examples of players who changed positions and succeeded in recent memory, including Julian Edelman (from QB to WR) and Ryan Tannehill (from WR to QB). With that said, it is rare for a player to change positions in the middle of his career at the NFL level, as Pryor did in 2016. Pryor, a former standout quarterback at Ohio State University, was originally drafted as a signal-caller by the Oakland Raiders in 2011. After struggling to adjust to the position at the professional level, Pryor reinvented himself into a wide receiver for the Cleveland Browns in 2016. His freakish athletic ability made the transition a lot smoother than anyone could have anticipated, as he recorded 77 receptions and 1,007 yards. Arguably the most impressive stat was that he only had six dropped passes; for comparison purposes, All-Pro Julio Jones (who was the top-graded WR in the league at 96.4) also had six dropped passes on roughly the same number of receptions (83) on the season. Pryor will continue to develop as a wide receiver, and he is now joining an offense with a top-10 quarterback in Kirk Cousins (85.9) and one who lost their top two wideouts to free agency in DeSean Jackson (56-1,005-4) and Pierre Garcon (79-1,041-3). Fresh off their fifth Super Bowl since 2001, the Patriots wasted no time in the offseason looking ahead to 2017. The team acquired Indianapolis Colts tight end Allen and a sixth-round pick for a fourth-round pick, similar to the deal that brought in tight end Martellus Bennett from the Chicago Bears just one year ago. In Allen, the Patriots are getting another big-bodied (6-foot-3, 265) red-zone threat to pair with the best tight end in football, Rob Gronkowski. Injuries are always a concern for Gronk, who missed the last eight games of the regular season and all of the playoffs recovering from another back surgery. If Gronkowski is unable to stay healthy again, Allen would play a crucial part in arguably the league’s best offense. With that said, a healthy Gronk will not take away from the value of Allen for a team who has traditionally played a lot of two-TE sets over the years. At this point, who is taking snaps under center for the Cleveland Browns in Week 1 of the 2017 season is one of the league’s biggest unknowns. With that said, it is safe to assume that whoever it is will be well-protected behind arguably the most-improved offensive line in the league. Left tackle Joe Thomas is undoubtedly on his way to the Hall of Fame and has graded out at 86.7 or better in every season since being drafted in 2007. Unfortunately for the Browns, the rest of the line hasn’t been so stable. The team surrendered a league-high 33 sacks in 2016, and 197 total pressures (ninth most). The additions of center J.C. Tretter and right guard Kevin Zeitler through free agency have turned a major weakness of the Browns to one that is now the strength of the roster. Whether the team decides to start second-year quarterback Cody Kessler or a rookie through the draft, the quarterback will have every opportunity to succeed in 2017. Marshall had the worst season of his career in 2016 (71.7) since his rookie year of 2006. Poor quarterback play and overall the dysfunction of the New York Jets’ offense can largely be blamed for the sudden decline. He recorded only 59 receptions on the 121 times he has targeted, giving him a catch percentage of 48.8, which ranked 114th out of 119 wide receivers. Although Eli Manning is on the downswing of his career, he is a clear upgrade over the Jets’ quarterbacks of a season ago. Marshall will line up opposite one of the most exciting players in the game in Odell Beckham Jr. and standout rookie Sterling Shepard in the slot. The Giants played a three-WR formation 90 percent of the time in 2016, by far the highest in the league and well above the league average of 59 percent. With a better supporting cast and the motivation of playing on a contending team, Marshall should bounce back in a big way in 2017. Fowler was drafted with the third overall pick in the 2015 NFL Draft, but missed his entire rookie season after suffering a torn ACL on his first day of mini-camp. In his first full season as a starter, Fowler graded out well against the run, but struggled as a pass-rusher, registering just four sacks on the year. There is plenty of reason to believe Fowler will have a much better 2017, aside from the fact he will be two full years removed from a major injury. 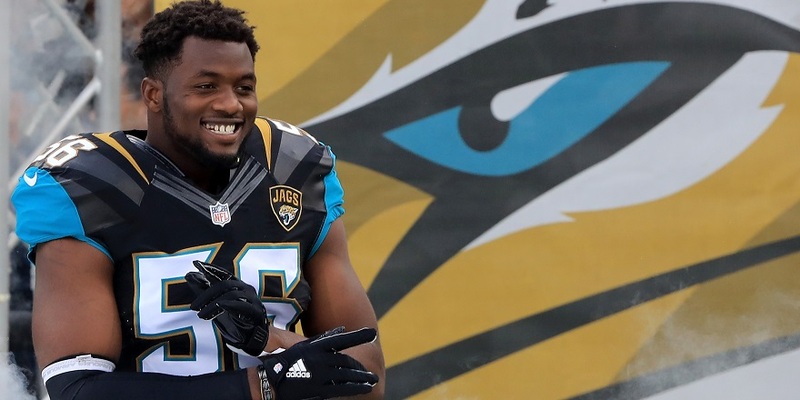 The Jaguars made two significant moves in free agency that should help Fowler’s progression as a player in defensive lineman Calais Campbell and cornerback A.J. Bouye. Campbell (90.4) and Bouye (90.9) ranked second and third at their respective positions in 2016. In the case of Campbell, he will be paired inside with defensive tackle Malik Jackson (84.0), making it likely that Fowler will see a lot of one-on-one matchups off the edge. Bouye will team with rookie standout Jalen Ramsey (who was the top graded corner in the league Weeks 13-17) to present matchup problems on the outside, making a formidable pass-rush more likely for Fowler and company. The New Orleans Saints needed to find a down-the-field threat to replace Brandin Cooks and they were able to address that need in free agency with Ginn, actually bringing him in before the Cooks trade was even official. The former first-round pick has graded out at a respectable 72.9 in back-to-back seasons after struggling to contribute much aside from special teams earlier on in his career. In Ginn, the Saints are getting a player who is dangerous on deep balls (20-plus yards), where he recorded all four of his touchdowns in 2016. Cooks was targeted on these routes 24 times and with him no longer in the fold, Ginn should be the clear beneficiary of that role in New Orleans. Another factor working in Ginn’s favor is moving from the Panthers (typically a run-first, clock-killing offense) to the Saints (a faster-paced, more vertical offense). He has never played with a quarterback on the level of a Drew Brees, who can still sling it, as evidenced by his 1,250 yards on deep balls a season ago, second most in the league. Winston finished the 2016 season with a grade of 77.5, 20th at the quarterback position. The former No. 1 overall pick failed to take his game to the next level in his second season, which led to the team addressing his weapons through free agency in 2017. Tampa Bay has one of the most dynamic playmakers around the league in wide receiver Mike Evans, but little else behind him. Evans was targeted 39 times on deep balls, which resulted in 13 receptions, 372 yards and six touchdowns. The rest of the Buccaneers’ wide receivers combined for 25 targets (six receptions, 168 yards and four touchdowns). Insert DeSean Jackson — one of the best deep threats in the league since being drafted in 2008. Jackson was targeted on deep balls 32 times in 2016, resulting in 16 receptions, 579 yards and three touchdowns. 36.0 percent of his targets all season long were on deep throws, third most in the league. Getting Winston a strong second weapon should be a boon to his development. When future Hall of Famer Calvin Johnson suddenly retired following the 2015 season, there was reason to believe that Stafford would take a step back in 2016. Surprisingly, Stafford actually recorded the best-graded season of his career (85.4), despite playing the end of the season with a dislocated finger and torn ligaments in his hand. The Lions made two of the biggest splashes in free agency when they landed right tackle Ricky Wagner (84.5) and guard T.J. Lang (87.0). Not only does each of them significantly improve what was a weak offensive line unit, it is worth pointing out that the strength of each is the pass-blocking aspect of their game. With one of the best offensive lines in football in front of him and presumed health coming into the season, Stafford has the opportunity to improve upon his career-best year in 2017 for the Lions.